There is an ongoing need to optimize construction materials and reduce the size of elements required within the structural systems of high-rise buildings. Minimizing the size of the vertical structural elements, without compromising the economic feasibility of projects, is a persistent challenge of tall building design. The use of composite structural elements, such as combining concrete and steel, along with higher grade materials within each, is a viable solution. This document is the summary of the research project on composite megacolumns, conducted by CTBUH and the China Academy of Building Research, with assistance from Magnusson Klemencic Associates and sponsorship from ArcelorMittal. Composite megacolumns considered in this research are defined as vertical structural systems that are subject to significant vertical loads and secondary bending moments from wind and seismic actions, with more than one hot-rolled steel section and longitudinal rebar and ties embedded in the concrete. They are believed to be an appropriate solution in terms of structural behavior, cost, and constructability for the design of tall buildings, including towers over 300 meters tall. 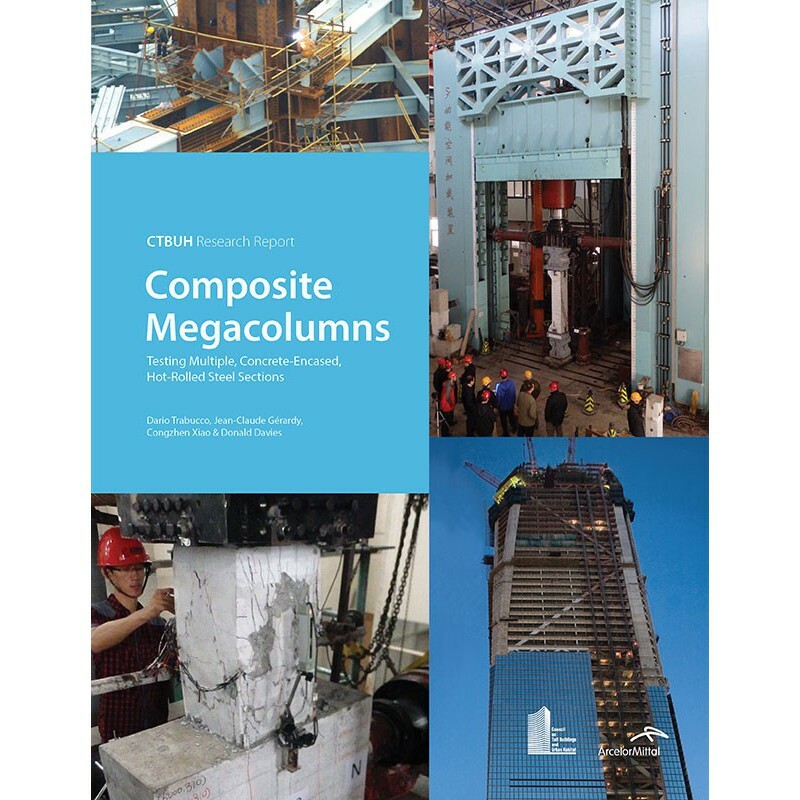 A complete description of the present research program, including all information and data of the laboratory testing can be found in the detailed report, titled Performance and Capacity of Isolated Steel Reinforced Concrete Columns and Design Approaches, available online at http://www.ctbuh.org/megacolumns. This research was made possible through a grant from ArcelorMittal.